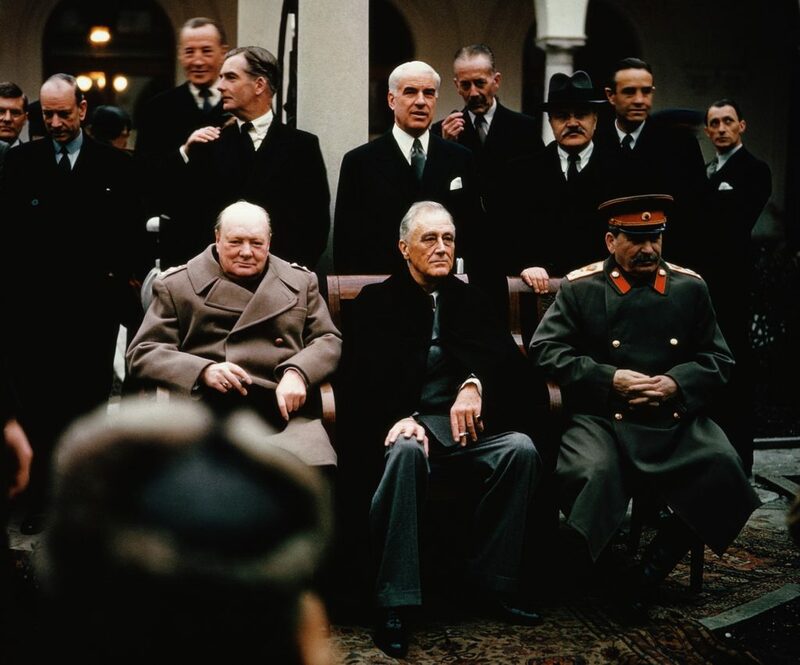 February 4-11, 1945, Yalta, USSR — Soviet leader Stalin, American President Roosevelt and British Prime Minister Churchill seated together during the Yalta Conference, 1945. Behind them stand their respective foreign ministers; Molotov, Stettinius and Eden. Decisions made at this conference influenced the rebuilding of Europe after WWII. Photo: US Forces.